Google has added the option to turn off a controversial new feature of its Chrome operating system, after it provoked a furious backlash from users who were worried that it would share your browser history (and more) when you log into certain sites owned by the search giant. The auto-sign in feature included in Chrome 69 would automatically sign you into the Chrome browser if you visited and logged into Google-owned websites such as Gmail and YouTube. After signing into Chrome, your bookmarks and browser history would be uploaded to Google’s servers. Chrome users weren't happy about this, and the reaction has caused Google to rethink its ideas, and it has now added a toggle that allows you to turn off the controversial feature. The toggle isn’t in the current release of Chrome, but Google has added it to an early Chrome Canary build (71.0.3563.0), allowing you to turn off “Allow Chrome sign-in”. Hopefully this feature will make it to a final Chrome release soon. While this move is a welcome one, and the speed with which Google implemented it shows how rattled the company was by the criticism, it may not be enough to calm the backlash. For a start, Chrome’s auto sign-in feature is still enabled by default. Also, the option to turn off the feature is hidden away in Chrome’s Advanced Settings menu, which isn’t easy to find unless you know what you’re looking for. So, it’s a start, but Google has further to go if it wants to win back its users’ trust. 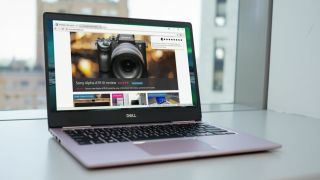 What’s our choice of the best web browser 2018?